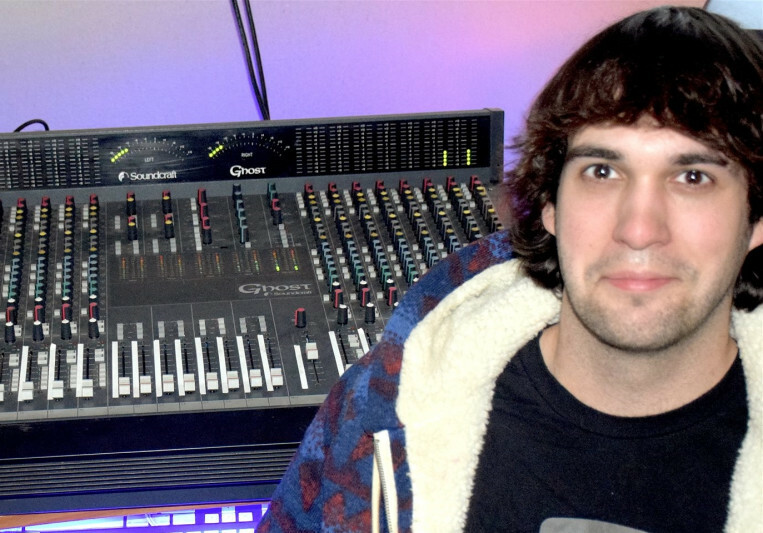 Mike's studio includes an upgraded and maintained Soundcraft Ghost console, an Antelope 32+ audio interface, some various outboard gear, and a full suite of mixing and mastering plugins from Slate, Waves, and others. The studio is also equipped with a Mapex Armory drum kit, almost a dozen guitars, amps, and a range of microphones. The Kemper profiling amp allows Mike to re-amp instrument signals recorded using a DI with an extremely wide range of professional guitar and bass amp models.Topping it all off are a vintage bright purple Heil Sound HM1200 analog console from 1976, and a vintage Studer A810 analog 2-track tape machine. 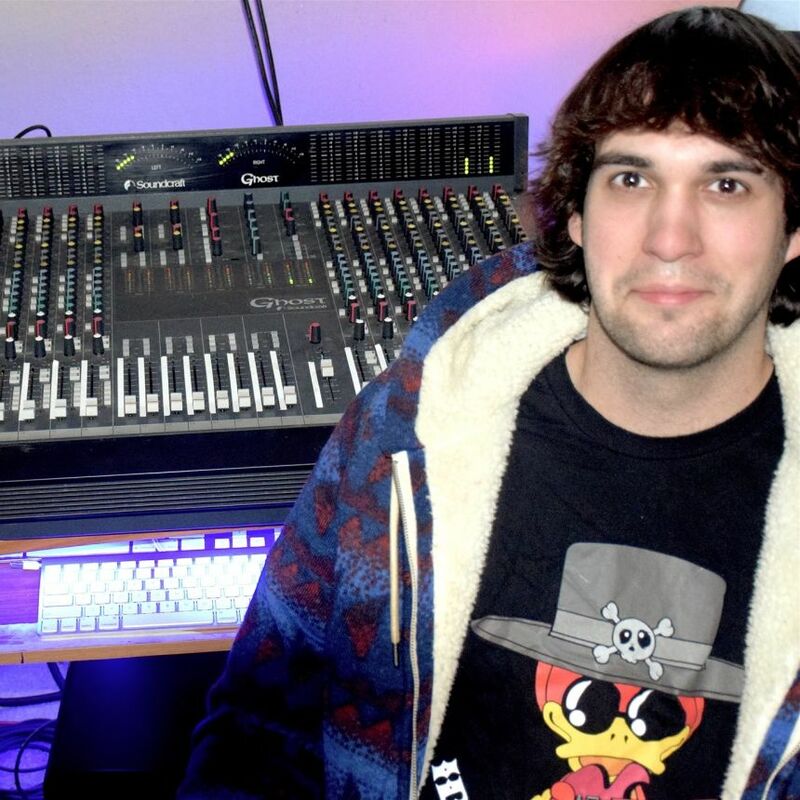 The workflow is as follows: Mike mixes down from Logic Pro or Pro Tools using analog consoles and a combination of plug-ins and outboard equipment. You will get analog punch from this signal path that simply cannot be achieved mixing "in the box"! 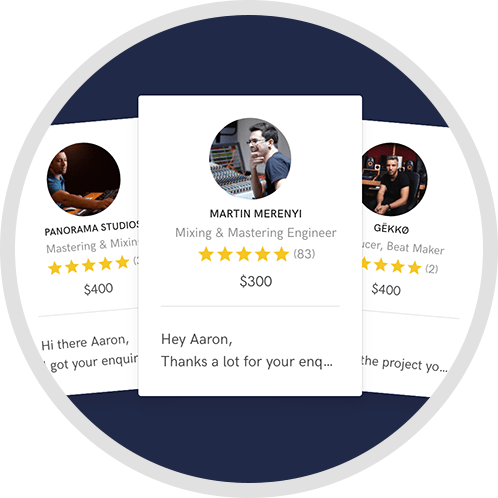 Mike offers live sound mixing, studio recording, mixing, mastering, and editing/restoration services for any size project. 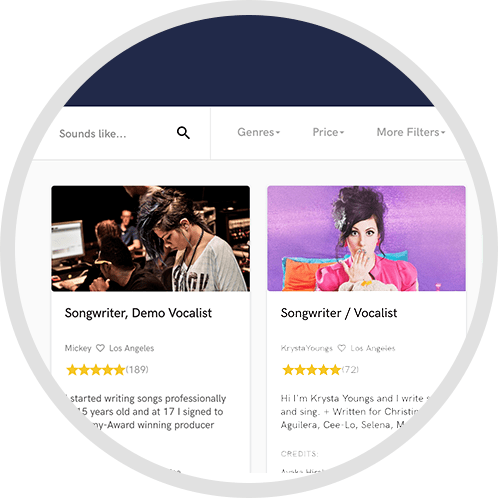 Digital or acoustic drum replacement, vocal tuning, and guitar reamping are also possible. Feel free to check out his personal site at http://www.mikewhetzel.com. Contact Mike Whetzel today for all your audio needs! A: I was especially proud to run monitors at several throw-and-go style music festivals this past summer in the USA and Canada. This means that we only had a few minutes to set up the entire show and make sure everything was ready. It's a stressful feeling, but rewarding once we get through the show with no problems! A: I am currently taking a short break from touring, while actively seeking new clients and business engagements. A: I will always prefer analog, but working with digital systems is a vital skill for today's audio engineer to master. A: I promise to always be receptive to requests and comments, and work to the best of my ability to fulfill your requests. A: I love that I enjoy what I do when I mix music. I have a passion for good music and the emotional impact it can have on others. The greatest feeling is making a living while fulfilling my passion. A: A lot of them ask me for a set list or a guitar pick. Some ask if I can get my boss to sign something (at live shows). Usually I try to accommodate any client's request if possible. A: The biggest misconception is that audio engineering isn't a real job. Audio takes passion, wit, intelligence, hard work, and charisma, not to mention the ability to interface with musicians on a daily basis. I respect my audio colleagues tremendously for what they do. A: I ask what they are looking to get out of my services. If it is a live job, I talk briefly about their expectations of me and what they need me to do on a day to day basis. In the studio, I would ask about the final vision for the project and work towards developing a plan to achieve that vision. A: I advise you to look into this person, meaning not only examining their skill set, but also considering what it will be like to do business with that person. A: I mixed small shows throughout high school, and went to college for audio engineering upon graduation. I spent almost three years in college before I was involved in a bad car accident. Several months later, I decided to attend an audio school called the Blackbird Academy rather than returning to college immediately. I then interned at a studio and did commercial A/V installation work for a year. One day, I was contacted by the multi-platinum band 38 Special who was in desperate need of an audio guy. They took me out on a trial run and I ended up working with them for a full year on tour. I then worked on a summer tour with the Youtube superstar Lindsey Stirling. I continue to take touring and studio related jobs and am currently available to hire. A: I try to be subtractive if not surgical when I mix, meaning that I stay as true to the artist's vision as possible while making the mix sound good. If I have additional responsibility as a producer, I may suggest some of my own ideas/contributions during the process. A: I would love to work with any number of classic rock bands, simply because I enjoy the genre and it took real talent in that day and age to become famous. A: Invest yourself emotionally in your work, but not so much so that you can't see past the flaws. A: I have worked with rock bands, reggae acts, hip hop artists, and EDM artists. A: My strongest skill is working well under pressure. A: I bring the eagle eye's perspective of a producer. 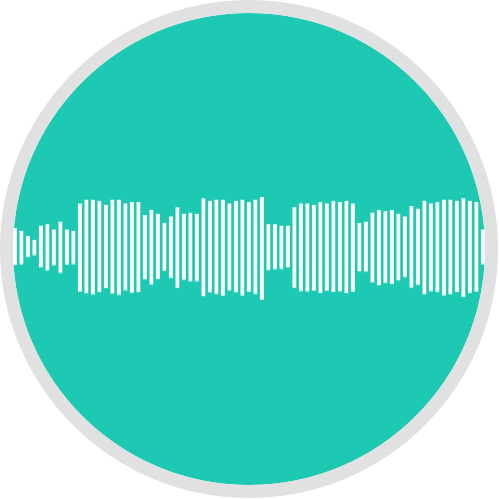 The mind of a producer is concerned about the song as a whole package, making sure that individual elements of the song mesh together to create a working final solution. A: Typically, I talk with a client briefly regarding details of the project, and we establish a timeline for completion and a fair rate for compensation. I stay engaged with the client throughout the process as I work towards completion, informing them if I have any issues or anything I may need their feedback on. A: I run a hybrid analog/digital recording studio with the latest in modern innovations, juxtaposed with vintage elements commonly found in yesterday's studios. Mixing on an analog console allows me to more easily connect physically with a recording, which I feel is vital in order to properly engage with the material I'm working on. A: I am inspired by the tenacity of John and Martina McBride, in terms of their dedication to their own family, their careers, and also the Blackbird Studio family. A: I'm a touring live sound engineer, so I spend a good deal of time traveling with bands, within the USA and internationally. I also own a small home studio and offer tracking, mixing, and mastering services.